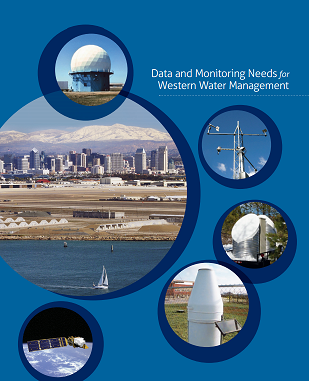 The Western States Water Council and the California Department of Water Resources are cosponsoring a workshop to discuss strategies for supporting and improving key observing systems, to be held in San Diego on June 23-25, 2014. The workshop will begin Monday, June 23 at 1:00 pm and conclude Wednesday, June 25 by 12 noon. Topics to be covered include an overview of the funding status of key federal monitoring programs, development of a 21st century observing system for extreme precipitation in the West, emerging opportunities for supplementing ground-based observations with remote sensing, and strategic planning for sustaining long-term observing records. LOCATION/LODGING: A block of rooms has been reserved and will be held through June 2, 2014. Please contact the Doubletree San Diego Downtown reservations department directly at ( 619) 239-6800, or central reservations at (800) 222-TREE, and announce the Western States Water Council room block. You may also make reservations online at: http://doubletree.hilton.com/en/dt/groups/personalized/S/SANDWDT-WSW-20140620/index.jhtml?WT.mc_id=POG. Reservations are subject to availability at the time of booking. Room rates will apply three (3) days before and after the meeting, subject to availability. Reservations received after the cutoff date of June 2, 2014 will be confirmed on a room availability basis at the rate in effect at the time of the request. Reservations must be made by the June 2nd deadline to obtain the rate of $110 single or double occupancy. COMPLIMENTARY AIRPORT SHUTTLE: The Doubletree San Diego Downtown offers complimentary airport shuttle. Call the hotel directly at 619-239-6800 from the airport after luggage pick up, or confirm airline and arrival time in advance. To return to the airport, make a reservation with the Concierge or Front Desk. the airport shuttle arrives at the front entrance and departs every thirty (30) minutes.